Fractora is a marvelous treatment. It tightens and firms your skin, it reduces acne scars, it shrinks wrinkles. It gives delightful results in areas that are traditionally hard to get good results, like lip lines, crows-feet and forehead wrinkles. There is a reason it is one of our favorite treatments as well as a favorite of our clients. 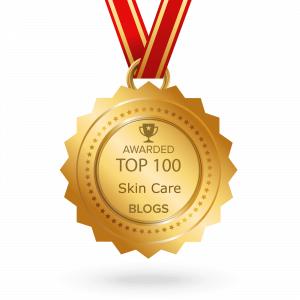 At SkinScience, we do not believe in cookie cutter approaches to skin care. 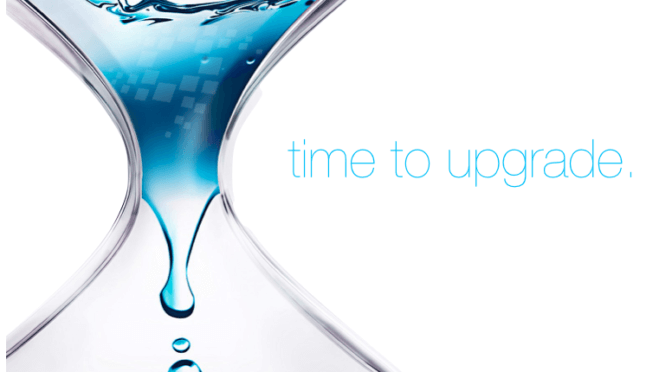 Every time you as our patient comes through our doors, we re-evaluate and re-analyze your skin. Through this constant and regular process, we get to know your skin and your goals very well. This allows us to create the perfect plan for YOU, all while adjusting your plan and treatment to how YOUR skin responds and changes. This is where we start most patients with their first Fractora treatment. A Single Fractora uses one treatment head. The treatment head used for this treatment will tighten and firm your skin, target fine lines, help improve shallow acne scars, shrink pores, shrink lines around your lips and create livelier looking skin. It can safely be used over your entire face including around the eyes and over areas considered “bony” like foreheads. A Single Fractora will also tighten and firm the skin on your neck, helping to reduce fine to medium sized wrinkles on your neck. A Double Fractora uses two treatment heads. The one we talk about above, AND one that targets deeper collagen. 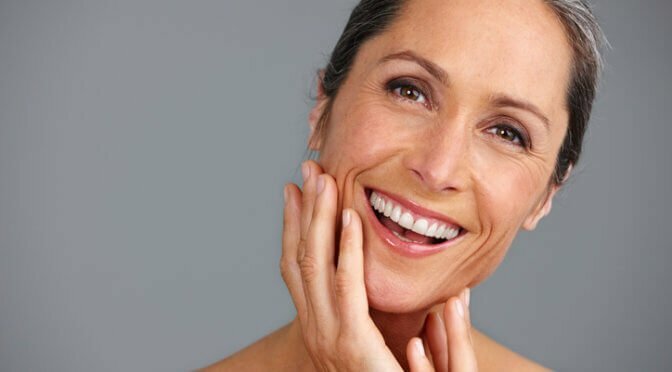 With a Double Fractora you will see all of the improvements we see with the single above, AND we can shrink/reduce jowls (sagging or uneven jawline) tighten your double chin, lift the cheeks to reduce nasal labial folds (deep smile lines) shrink deeper wrinkles and target medium to deep acne scars. During a Double Fractora, we are able to layer the two treatment heads over the same area, ensuring the absolute maximum possible positive results, even in areas with multiple concerns. A Double Fractora treatment means we are able to offer you a more customized treatment. Custom treatments mean better results. Who needs makeup when you have this amazing combination of treatments? Call today to find out what your perfectly customized treatment should be! 1. SPONSOR: The “SkinScience + NeoCutis Contest” (the “Contest”) is sponsored by SkinScience inc., 418 – 1011 Glenmore Trail SW Calgary Alberta Canada T2V 4R6 (the “Sponsor”). 2. ELIGIBILITY: The Contest is open to legal residents of Canada, excluding Quebec, who have reached the age of majority in their province or territory of residence at the time of entry, with the exception of employees of the Sponsor, its parent, related and affiliated companies, subsidiaries, departments or agencies, franchisees, suppliers, advertising and promotional agencies, contest administrators, and any other parties engaged in the development, production or distribution of Contest materials and those living in the same household. By participating in this Contest, entrants acknowledge compliance with, and agree to be bound by, these Contest Rules. Entrants who do not comply with any of the Contest Rules are subject to disqualification by the Sponsor, in the Sponsor’s sole discretion. 3. CONTEST DATES AND TIMES: The Contest begins on October 20th, 2017 at 12h00amMST and ends on October 30th, 2017 at 11h59pm MST (the “Contest End Date”) after which time the Contest will be closed and no further entries shall be accepted. 4. HOW TO ENTER: You can enter by leaving a review of your experience at SkinScience Clinic. For this Contest receipt of an Internet entry occurs when Sponsor’s servers record the entry information. All entries must be complete and are subject to verification by the Sponsor, in its sole discretion. Limit 10 entries per person . Any attempt or suspected attempt to use robotic, automatic, programmed, or otherwise, illicit means to enter the Contest, or any other methods not authorized by these Contest Rules, for example, but not limited to, creating multiple accounts, identities, or registrations, all in the Sponsor’s sole discretion, shall be deemed as tampering and may disqualify you from entering, participating and/or winning a prize. Entries that contain false or incomplete information are void. Entries that are late, lost, stolen, illegible, contain false information, are damaged, misdirected, mutilated, garbled or incomplete, altered or otherwise irregular or that do not conform with or satisfy any or all of the conditions of the Contest Rules are void. Entrants grant Sponsor a non-exclusive license to use all entries for any purpose. No correspondence will be entered into except with selected entrants. Proof of transmission (screenshots or captures, etc.) does not constitute proof of entry or receipt of an entry. 5. 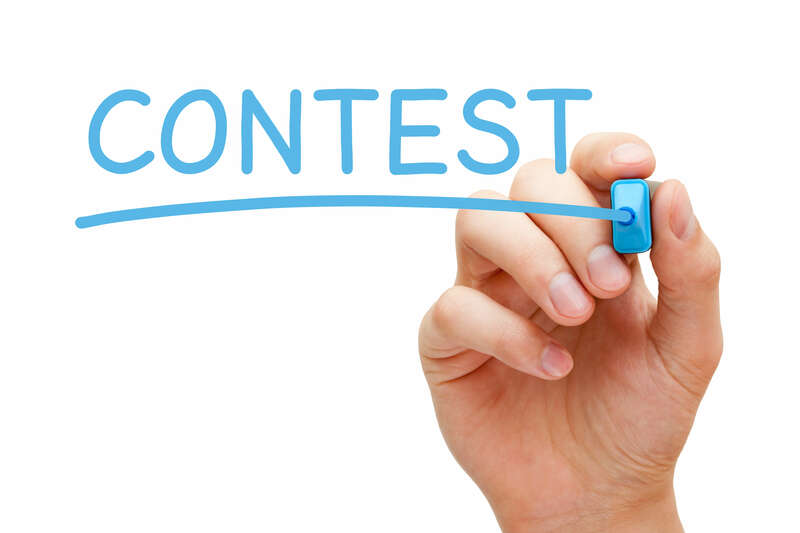 CONTEST PRIZES: There is a total of one (1) prize available to be won consisting of 3 NeoCutis Skin Care products (approximate retail value is $450). 7. SKILL TESTING QUESTION: Selected Entrants will be required, as a condition to winning a Prize, to correctly answer, without assistance of any kind, the Sponsor’s time-limited, mathematical skill-testing question to be administered during a pre-arranged telephone call. 8. WINNER SELECTION AND CONFIRMATION: On Tuesday October31, 2017 at noon/12h00pm MST at 418 – 1011 Glenmore Trail SW, Calgary Alberta (“Draw Date”) the Sponsor, or an employee, agent or other representative of the Sponsor, will conduct a random draw from all eligible entries and select the potential winner(s) (the “Selected Entrant(s)”). The Selected Entrant(s) will be deemed a winner if they meet all of the eligibility criteria set out in these Contest Rules. If a Selected Entrant does not meet the eligibility criteria, he/she will be disqualified and will not receive a prize and another entrant will be selected by way of a random draw from the remaining eligible entries. Before being declared a winner, a Selected Entrant will be required to: (i) correctly answer the Sponsor’s skill-testing question; (ii) sign and return the Sponsor’s Declaration of Eligibility and Liability/Publicity Release form; and (iii) comply with all other Contest Rules, all in the sole discretion of Sponsor. The Selected Entrant will be notified within one (1) business day of the draw and will be contacted via the social media account provided at the time of entry into the Contest, in Sponsor’s sole discretion, and up to three attempts will be made within 36 hours following the draw. A Selected Entrant that does not or cannot accept the Prize may be forfeited and a new Selected Entrant selected by random draw, in the Sponsor’s sole discretion. The Sponsor’s signed release form must be received by Sponsor no later than November 15, 2017. Sponsor is not responsible for the failure for any reason whatsoever of a Selected Entrant to receive notification or for the Sponsor to receive a Selected Entrant’s response. Disputes regarding identity of entrant: If the identity of a Selected Entrant is disputed, the entry will be deemed to have been submitted by the Authorized Account Holder (the individual assigned to the e-mail address or, if applicable for entry, social media handle associated with the entry). Each Selected Entrant may be required to provide proof that he/she is the Authorized Account Holder associated with the selected entry. 9. RELEASE AND INDEMNIFICATION: The winner must sign the Sponsor’s Declaration of Eligibility and Liability/Publicity Release form to: (i) confirm compliance with the Contest Rules; (ii) agree to accept the prize as awarded; (iii) release, discharge and hold harmless the Sponsor, its departments and agencies, parent, related and affiliated companies, subsidiaries, franchisees, advertising and promotional agencies, counsel, marketing partners, and each of their respective directors, officers, employees, shareholders, successors, sponsors, partners, licensees, subsidiaries, agents, artists, advisors, assignees, and all others associated with the administration, development and execution of the Contest (the “Released Parties”) from and against any and all manner of action, cause of action, claim or demand, loss or injury, use or misuse of a prize or any travel related thereto, and the use of the Entry by the Sponsor, suit, debt, covenant, contract, including legal fees and expenses, whatsoever, including but not limited to, claims based on negligence, breach of contract and fundamental breach, failure of any third party contractor or supplier used in connection with any aspect of the Contest to perform or deliver any goods or services, any act of God or any other event beyond the Released Parties’ control, any dissatisfaction of any kind by a winner with any aspect of the Contest or any prize, liability for physical injury, death, or property damage which the entrants, guests, their heirs, successors or assigns have, might have or could have suffered, by reason of or arising out of the entrant’s participation in the Contest and/or in connection with the acceptance and/or exercise by the entrant of the Prize as awarded; and (iv) indemnify the Released Parties against any loss, damage or expense, including legal fees, that any of the Released Parties may suffer or incur as a result of any non-compliance by an entrant with any of the Contest Rules or participation in the Contest and/or in connection with the acceptance and/or exercise by an entrant of a prize and the use of the Entry by Sponsor. Publicity and entrant information: By participating in the Contest, entrants consent to the use of their name, address, postal code, telephone number, social media handles, comments and image, whether on videotape, photograph or any other means, for the administration of this Contest or any publicity carried out by the Sponsor, without further notice or compensation. Law: The Contest is void where prohibited by law and is subject to all applicable Canadian federal, provincial, territorial, municipal and local laws. This Contest shall be governed exclusively by the laws of the province of Alberta, including all issues and questions concerning the construction, validity, interpretation and enforceability of these Contest Rules, rights and obligations between entrants and the Sponsor, and procedural provisions, without giving effect to any choice of law or conflict of law rules. Any dispute shall be adjudicated by the courts sitting in Calgary, Alberta. © SkinScience inc., 2017. All Rights Reserved. Fractora Day! Fractora Day! Yes! Yes! Yes! I am so excited. I have seen so many positive results on others, its finally my turn! Plus, my wicked sun damage needs to be knocked back. It got so much worse with, my last pregnancy, it’s about time! My biggest concern? Not being hydrated enough. I know that if I’m not hydrated enough, the treatment won’t work as well, and it will hurt more. Sooooo where’s my water bottle???? Numbing cream on. Time to wait. Numbing cream off…. This feels totally weird! I am surprised at how numb I feel! Even my lips feel a little numb. Weird, I can feel the IPL more than I thought I would. It’s not painful, but I thought I’d feel less. My technician tells me she can see lots of popping (technical term for a positive treatment of brown spots) so I am thrilled! Ok, onto the Fractora now, and I can hardly feel it! I would say on a scale of 1-10, this rates at a 1.5-2. Totally tolerable! (All my water worked!) This treatment is shockingly comfortable! I really expected it to be more uncomfortable! The part the bothers me the most? Being numb. I am a little puffy, and I definitely have some redness, but overall, it’s not too bad. I can feel some warmth in my face as the numbing is wearing off, but not enough to really bother me. I’m headed to bed, most of the redness has come down by now. My skin feels a little sensitive, but overall it really isn’t bad. The cream and the water help a lot with keeping any discomfort at bay. I’m still a little pink, and I have slight swelling, but I doubt anyone will notice. I can feel that the micro lesions have closed, so that is good! All my brown spots are more prominent, which I expected. Healing is happening, that means results are close behind! I’m at the gym. I put on a bit of mineral powder makeup before leaving the house. All the regular Friday people are here, the people I see almost every Friday, and not one of them has given me weird look, or sideways glance, no one has noticed I look like I have had “something done”. Nice! I feel good, I did my regular work out, just slowed it down a bit so I didn’t get too sweaty. My skin is slightly more sensitive, but overall feels great. Almost all the pinkness is gone, I’m slightly puffy, but only very slightly, so I’m pretty sure I am the only that can notice it. Some of my micro-lesions have turned slightly brown, making me look more freckled than usual. Makeup covers this nicely. I have a few spots that feel dryer and tighter, but not so much that it bothers me. Had a family dinner with my in-laws, and not one person gave me a funny look or noticed that I a treatment. I was wearing makeup, but I thought that they might still notice, but nope! Today the pinkness and swelling are gone, I still have a few tight dry spots. I now have a bit of flaking as well. A bit of extra moisturizer camouflaged it easily. Overall my skin feels good! The flaking has pretty much stopped, I have zero swelling or redness that I can see at all. I think I am already seeing results, but this soon I am wondering if I’m crazy? I am not crazy! I can totally see the beginnings of positive results. The crinkles in my cheeks are better, the crinkly lines under my eyes are softer, and my skin tone has already improved sooooo much! This is awesome! I know I’ve got lots more time before final results, so this is exciting! I ran into an acquaintance that I hadn’t seen in about 3 months, she told me my skin looked great! I can see it too. I am ecstatic that the lines under my eyes are so much better. My makeup is no longer getting stuck in the fine lines around my eyes. The crinkles in my cheeks are wayyyy better too. I used to have to blend the makeup out of my lines after lunch every day, and I haven’t had to do that in the last week. I’ve booked my next one already, I’m told that the results get better each time so I can’t wait to do the next one! To book your IPL Boosted Fractora Appointment call today! Should You Do IPL Boosted Fractora? At SkinScience, we work hard to have an extremely thorough consultation with each of our clients so that we have an in-depth understanding of what each individual client is hoping to achieve. We also try hard to understand each client on a deeper level so we can understand which treatment path is the right one for them. Every treatment has its limitations. Or in other words, another treatment won’t give the results you are looking for. It would be awesome if a Dermaplaning could tighten a jawline, or eliminate wrinkles for the long term but it can’t. Same goes for peels, and facials. Facials area perfect for helping to create healthier skin, as well as giving a deep hydration boost, relaxation, extractions, and light exfoliation, but facials are not capable of targeting the deeper signs of aging. If you desire better results, you will need a better treatment. Every individual has their own unique aging story. Every person’s genetics and life experiences are unique to them, and create their own unique needs. Creating a cookie cutter treatment approach, doesn’t work as well as a treatment approach that targets each clients’ specific needs individually. In order for you to get the most ideal results, we take all of your unique needs into consideration. You are seeking improvement to more than one issue and don’t want surgery. Then it’s not likely a singular treatment will help as much as a combined therapy like IPL boosted Fractora. Often clients come in with one primary concern. However, if you are one of the ones that desires improvement to more than one of the concerns listed above, then doing a combined treatment is the way to go. Doing treatments together always gives better results. (to read about how and why combined treatments work better, click here to read our previous blog post about it). If you are interested in learning about your unique aging needs, give us a call! We live to help you find the ideal treatment for your unique needs. At SkinScience, we’ve been performing the oh so amazing Fractora treatments for our patients for a while now. We have helped so many of our clients achieve some truly remarkable results! So many faces that now look firmer, brighter, tighter, smoother and less wrinkled! With so many clients that feel so much more confident leaving the house. However, if you know us, you know we are ALWAYS looking for a way to maximize results, and give the absolute best to our clients. IPL boosted Fractora offers all of the deep tightening benefits of Fractora with all the skin brightening of an IPL. It is an amazing treatment that when the two technologies are combined, create better results than when we do each treatment on its own. When one of our clients does IPL boosted Fractora, they see smoother, fresher, tighter more evenly toned skin with improvements that are seen to fine lines, deep wrinkles and pore size! All without surgery! It is our most popular treatment yet! All of our clients share some of the same goals. Every one of our clients wants to look marvelous, to feel confident leaving the house with less fuss, to look the absolute best for their age and to still maintain their own uniqueness. Not one of them wants to look overdone, or like they have had “some work done”. IPL boosted Fractora enables us to give our clients wonderful results that help them achieve the goal of looking amazing for their age; naturally! 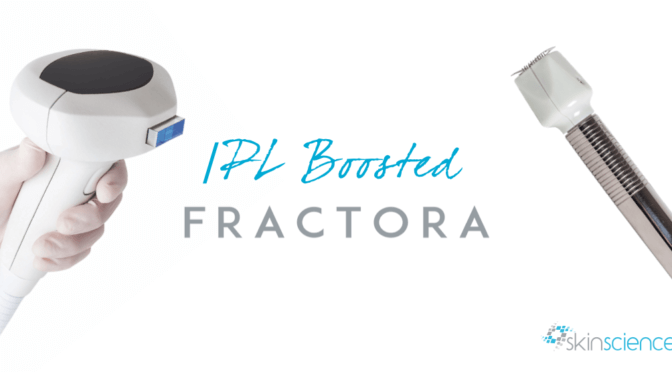 The IPL boosted Fractora is done in a few short hours, with most clients being in clinic for about two hours. Recovery is fast, and results can start to been seen about 1 week after treatment. The best part, is that clients achieve amazing results without altering their appearance. This is because the treatment works by stimulating your own collagen. Because it’s your own collagen you look like you, just firmer, tighter, less wrinkled, fewer sun spots and less redness, which creates an overall younger looking you! If you want to look your absolute best, with skin that is smooth and even, without redness and sun spots, that is firmer and tighter along the jawline, with fewer wrinkles overall, IPL boosted Fractora is for you. If you want to regain the confidence that has slipped away with age, IPL boosted Fractora is for you. If you want to prevent aging before it starts, IPL boosted Fractora is for you! Call today to book your consultation and learn what IPL boosted Fractora can do for your look, and how it can help you feel amazing!